Moisturising is an important step in any skincare routine. Any cream that does not contain an SPF is a night cream. Most people use a cream to moisturise but serums, lotions and lightweight gels can also hydrate your skin depending on your skin type. A good night cream will be full of ingredients that work to restore your skin's natural barrier, keeping it healthy and radiant, especially in winter, when your skin has a lot to endure from harsher weather conditions. The surface of your skin consists of 10% to 30% of water. Maintaining this is extremely important and a big challenge for people with dry skin. 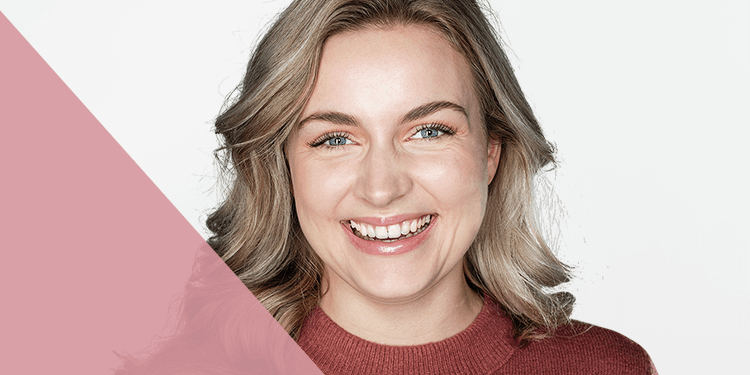 When your skins moisture level is in order, your skin stays supple, flexible and better in retaining skin-like substances that protect it against external influences. The most important thing is to keep the skin's barrier intact so that moisture is better retained. Help your dry skin by using a rich cream in the evening that is packed with antioxidants and skin-healing ingredients. Use a cream as a third step in your evening routine, after cleansing and exfoliating, or as a fourth step if you use a serum or booster. This nourishing night cream leaves dry, sensitive skin hydrated, smooth and radiant. Soothing ingredients and antioxidants work to calm redness and irritation while strenghtening the skins barrier. This anti-ageing blend contains antioxidants and high concentrations of ingredients proven to strengthen the skin and promote younger-looking skin such as retinol and squalane. The hydrating, creamy formula provides long-lasting moisture for softer, smoother more radiant skin. This rich, creamy night cream contains ultra-hydrating plant oils and skin-identical ingredients that repair and nourish very dry skin. Antioxidants and peptides strengthen the skin's barrier and soothe skin. If your skin is neither dry, oily or oily to combination, then lucky you, you have normal skin! Even normal skin needs a night cream that will keep the skin's barrier firm and healthy so that you keep your skin younger looking for as long as possible. Our most advanced anti-ageing night cream has a unique CollagenSupport Complex consisting of 5 ceramides to reduce fine lines and wrinkles; retinol to improve firmness and vitamin C to restore radiance. These ingredients are vital in restoring the skin’s natural barrier, for healthier, younger-looking skin. 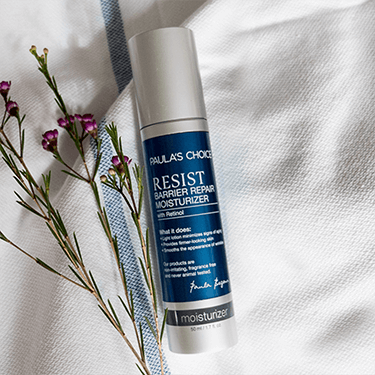 This lightweight, anti-pollution night cream contains 8 superfood extracts, including flax seed and wild cherry, which strengthen and protect the skin's barrier while you sleep. What makes it unique is its ability to neutralise the effects of blue light and other forms of pollution for a soft, radiant and revitalised complexion. 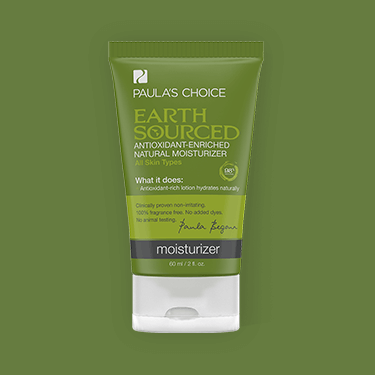 If you prefer mostly natural ingredients in your skincare then our Earth Sourced Night Cream is for you. Gentle plant extracts, antioxidants and skin replenishing ingredients hydrate for soft, healthy and radiant skin. A normal, balanced flow of sebum from the pores relieves dryness and keeps skin supple. Unfortunately, oily skin produces too much sebum. Pores become larger because they are stretched too much and the excess sebum and fat can lead to blackheads and whiteheads. 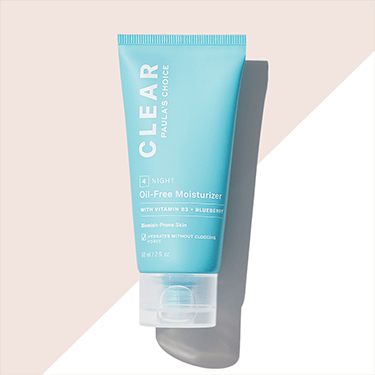 A lot of people with oily to combination skin are afraid of using nighttime moisturisers because they are usually too rich and make oily skin worse. Nevertheless, oily to combination skin also needs hydration. In fact, oily skin can also be dehydrated at the same time. Opt for lightweight, oil-free moisturisers which a more suited to oily skin types to keep your skins barrier healthy and hydrated. 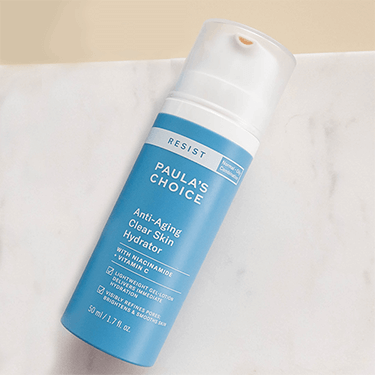 This lightweight night cream for acne-prone skin offers hydration without clogging pores or making oily skin feel greasy. Niacinamide soothes flaky skin and minimises pores, while ceramides strengthen the skin's barrier. Skin is left feeling soft, hydrated and shine-free. This unique gel-lotion is packed with powerful antioxidants and cell-communicating ingredients to help smooth wrinkles, repair sun damage, fade brown spots and reduce breakouts. Moisture balance is restored without making skin feel greasy. This lightweight night cream gives oily, sensitive skin the necessary hydration without leaving skin feeling greasy. Soothing ingredients and antioxidants work to calm redness and irritation while strenghtening the skins barrier.